Clean lines meet classic comfort. Geneva features a double bustle-back cushion with vertical stitching details and a comfortable fully padded footrest for reclining in comfort. The arms are generously padded for extra relaxation. 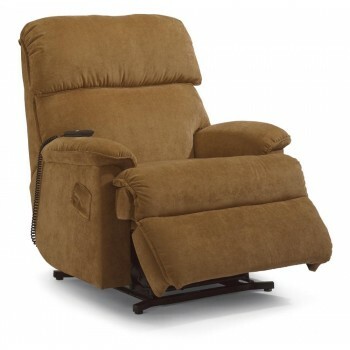 A power hand control allows you to raise, lower, and recline to any position with the touch of a button.